Rescuers from Berlin Rescue and Northfield Rescue work to save 18 year old Katey Hough of Northfield from the fast moving Dog River in Northfield just south Ellie's Farm Market on Wednesday, June 26, 2013. Hough was at the river with her husband Charles Hough III and her brother Will Dickenson when she was swept about 1000 feet down river from where they were swimming. Hough sustained abrasions during the ordeal and was transported to Central Vermont Medical Center. Bystanders embrace on Parkside Terrace in Barre. 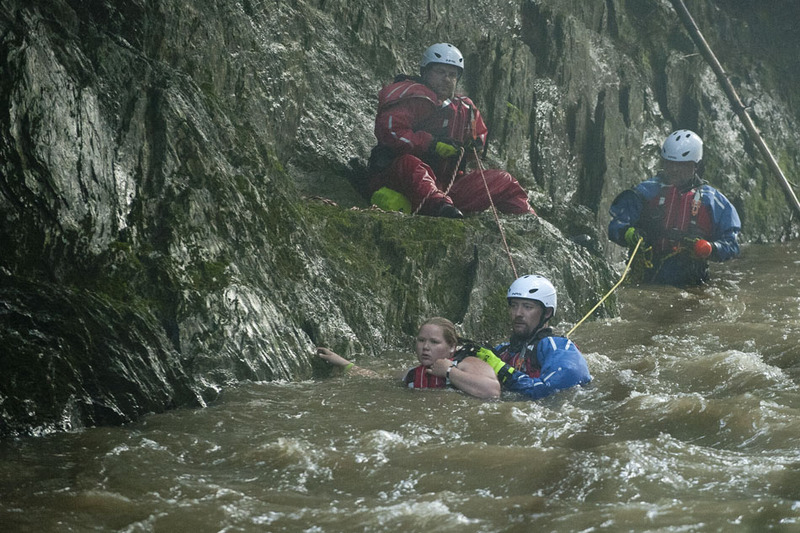 Rescue crews removed two men from the Jail Branch just below Spaulding falls in Barre Vt. on Tuesday, July 2, 2013. Crews accessed the scene by cutting a path from Parkside Terrace near the Barre City Pool. 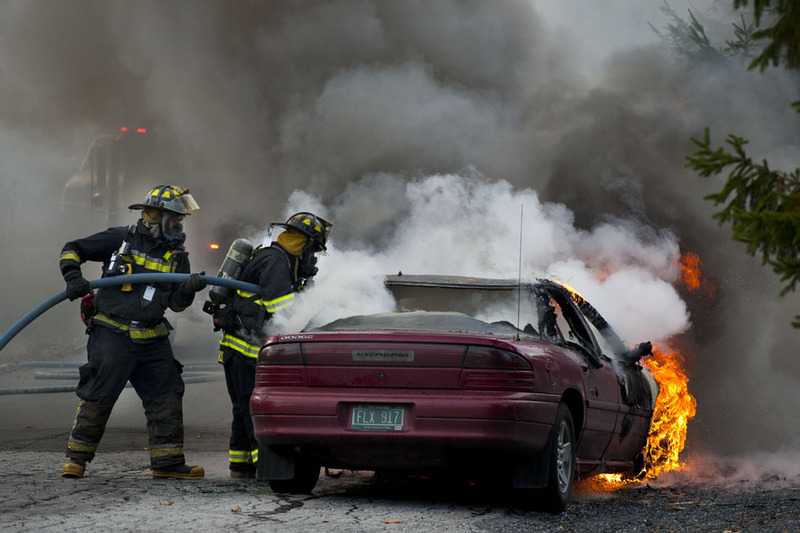 Berlin Firefighters work to extinguish a fire that engulfed a Dodge Intrepid on Hersey Rd. in Berlin Vermont on Monday, Oct. 22, 2012, around 3:30pm. Nick Diedrich of Plainfield owns the car and was driving the car and had just left home when the fire broke out. He said he "started smelling smoke, thought maybe it was the car ahead of me (because) it was only like a quarter mile from when I left... When I turned up the hill (Hersey Road) I started seeing smoke thats why I pulled up over here, opened up the hood and it was on fire." 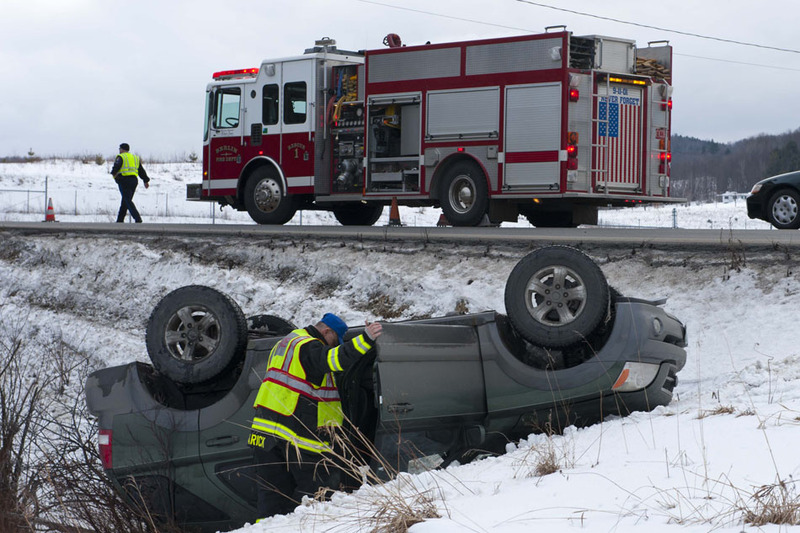 Berlin Fire Fighters examine a Hyundai SUV driven by Kevin Jarvis that was involved in a single-vehicle rollover accident on Airport Rd. in Berlin. Tuesday, Feb 26, 2013. Jarvis was treated on the scene for minor injuries and released. 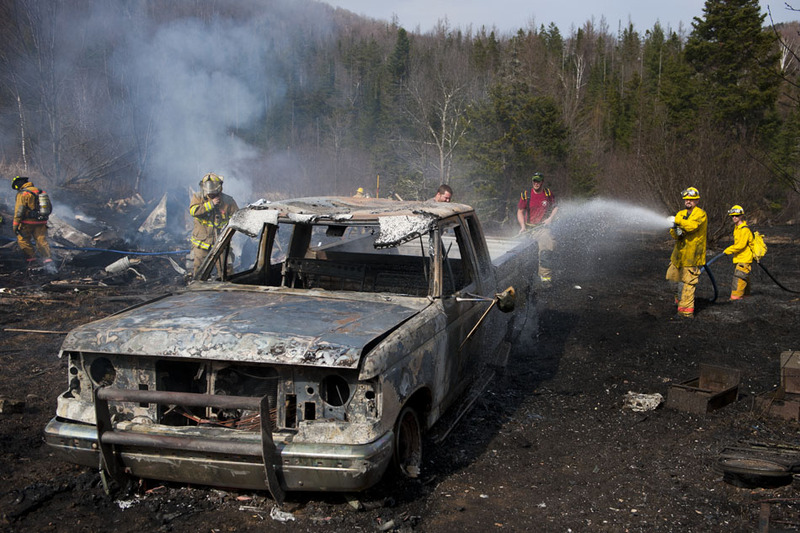 Barre Town Firefighters Sanborn and Stewart survey the scene of a brush fire that destroyed a 1988 Ford F-250 pickup truck and a shed containing some power equipment and other assorted tools before firefighters were able to get the blaze under control. The fire, which started at about 3:15pm, burned about an acre of Alice Smith's land on Smith Road in Orange, Vermont on Saturday, April 27, 2013. Sylvia O'Brien, Smith's daughter, was burning some old growth out of a raised garden when a gust of wind caused the fire to spread. 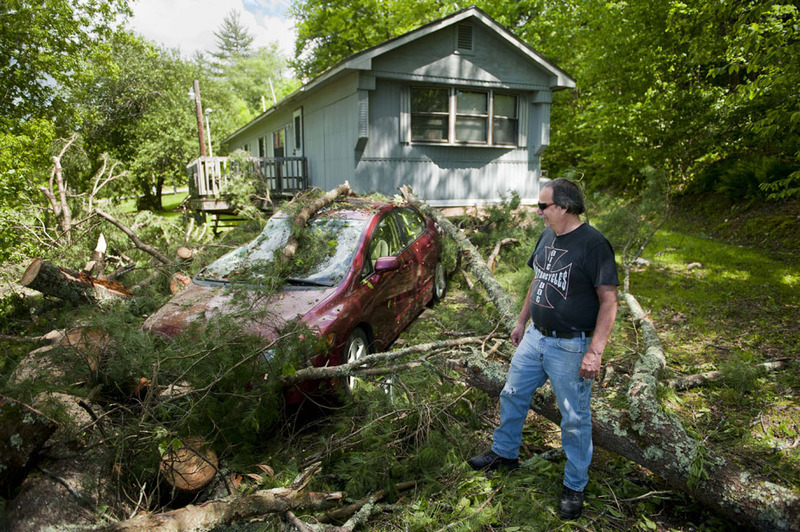 O'Brian and another neighbor both called 911. Crews responded from Barre Town, Plainfield, and Washington, they were able to get the fire contained before it spread to Alice Smith's mobile home where she lives adjacent to the property that was scorched. 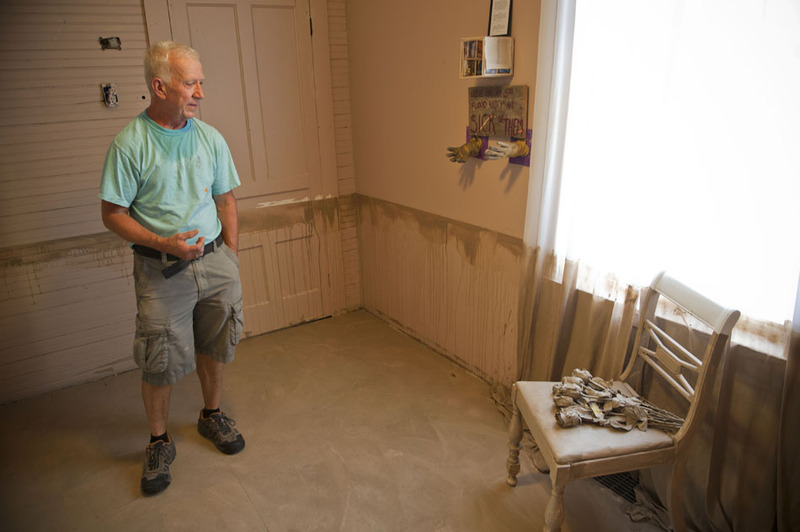 l-r Michael Valente stands in the "Mud Room", a room painted to represent the water level during the flooding caused by Tropical Storm Irene. The room, Valente's brain child, is part of the exhibit After Irene: Floodgates Art Project, a community created visual art collection of responses to Tropical Storm Irene at 3 Elm St. in downtown Waterbury. The exhibit opens at the community celebration on Saturday, Aug. 25, from 3-7pm. RANDOLPH, VT - OCT 2: l-r Peter Shumlin, Governer of Vermont, Vermont Technical College student Stephanie Nault, U.S. Department of Labor Secretary Hilda Solis, and Vermont Technical College student Rachel Arsenault sample apples at the VTC orchard during a visit to Vermont Technical College in Randolph Vt. on Tuesday, Oct. 2, 2012. Thaddeus Mortensen, 13months, looks over the shoulder of his father Neil Mortensen while he casts his ballot at Montpelier City Hall on Tuesday, Mar. 5, 2013. Neil said that while he votes in every election, he was particularly interested in supporting the firefighters today. 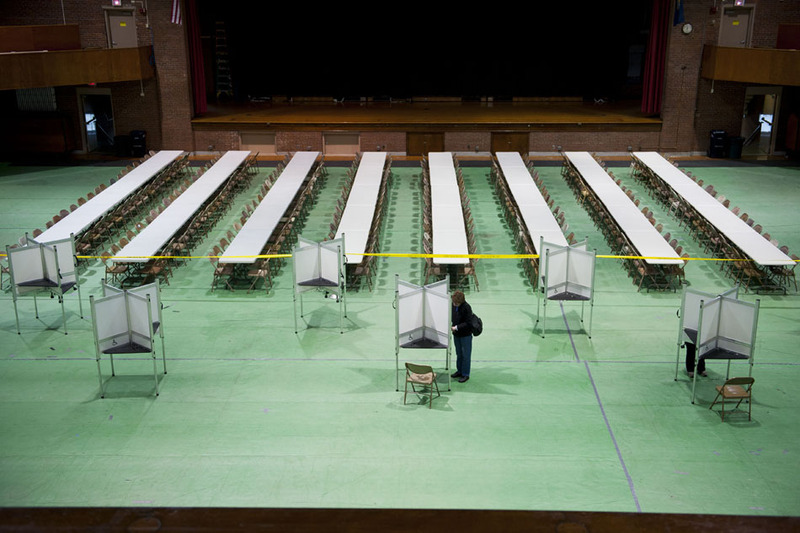 Voters cast their ballets at the Barre Auditorium in Barre Vermont. 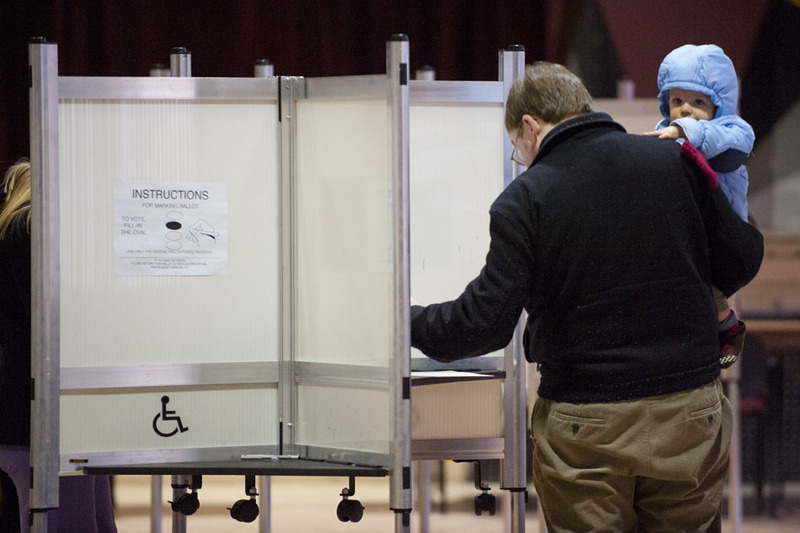 Turnout was low for voting in both Barre City and Barre Town. At 2:00pm Barre Town Clerk Donna Kelty said that Barre Town had only received 518 ballots, less than 10% of the 5724 registered voters. 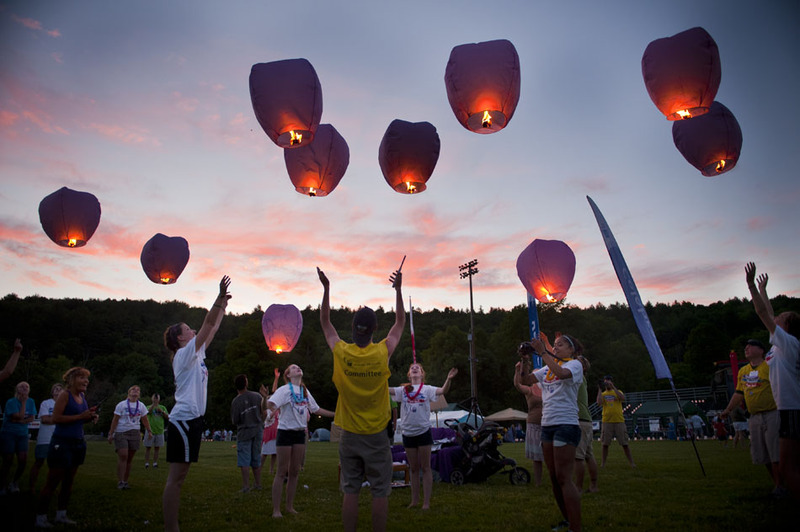 Relay volunteers and participants release lanterns into the sky at sunset during the 2012 Relay For Life of Central Vermont on June 22, 2012 at Montpelier High School. 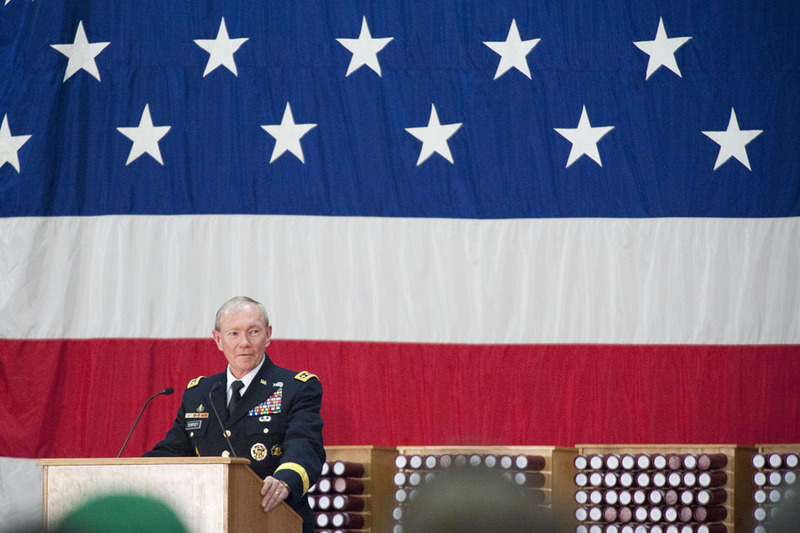 General Martin E. Dempsey, Chairman, Joint Chiefs of Staff, delivers the commencement address at Norwich University in Northfield Vermont on Sunday, May 13, 2012. 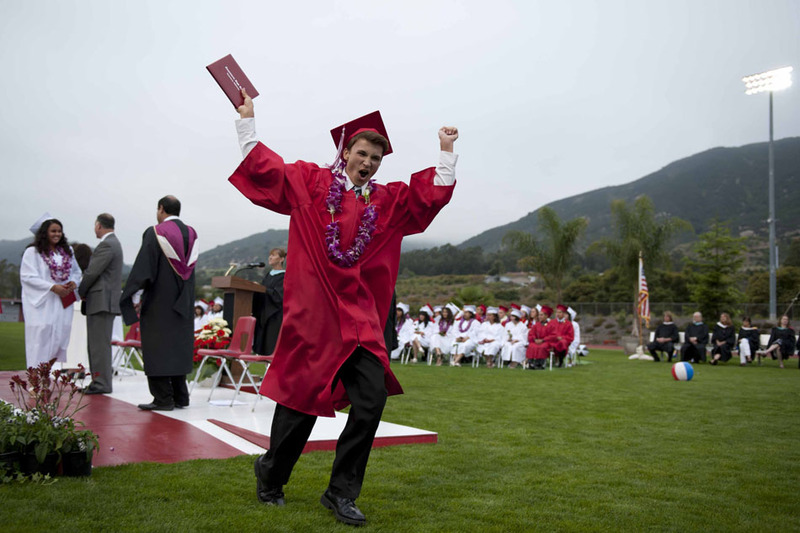 Diploma in hand, Carpinteria High School graduate Christian Plude celebrates after crossing the stage at the commencement ceremony held at Carpinteria Valley Memorial Stadium at Carpinteria High School on Friday, June 10, 2011. Plude was one of 152 Carpinteria High School graduates. John B Romero, his daughter Janden Roero and Granddaughter Katrina Moreno pay homage to those who died in the devastating attacks of Sept. 11, 2001. 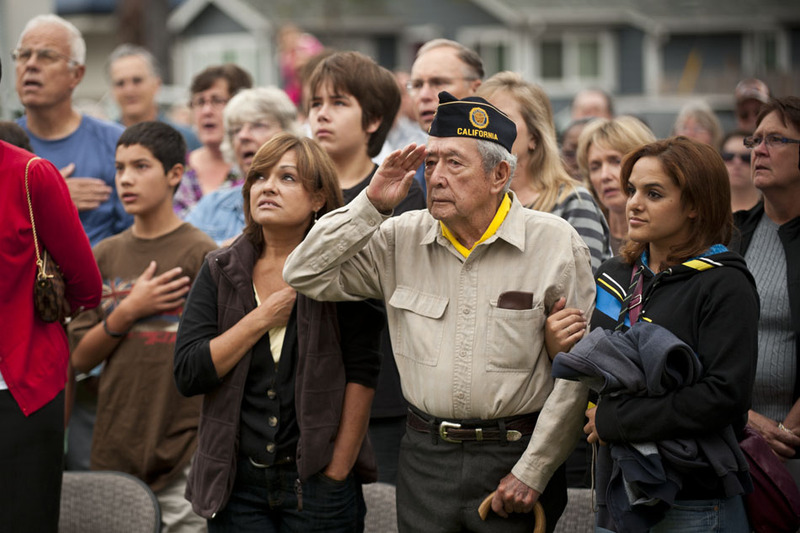 The Romero family paid their respects alongside 200 others at the 9/11 Memorial hosted by the Carpinteria-Summerland Fire Protection District held at the Walnut Avenue fire station on Sept. 11 2011. 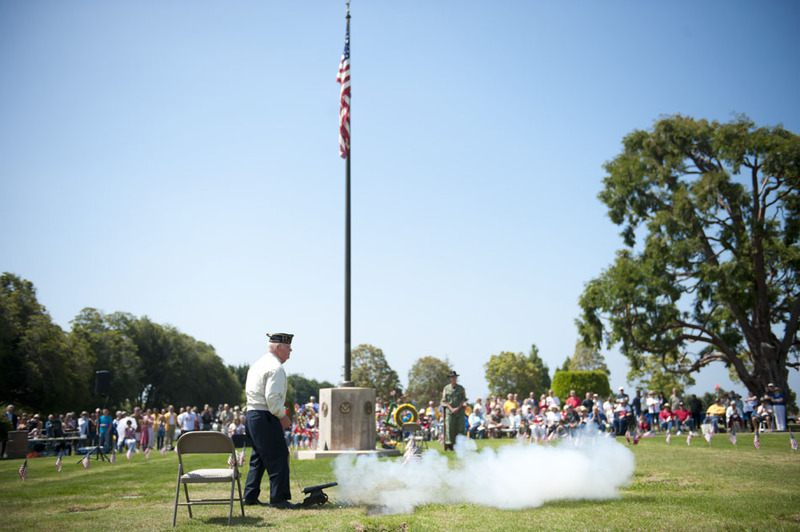 John Romero, a World War II veteran and former firefighter with the U.S. Forest Service, was made an honorary member of CSFPD during the memorial ceremony. 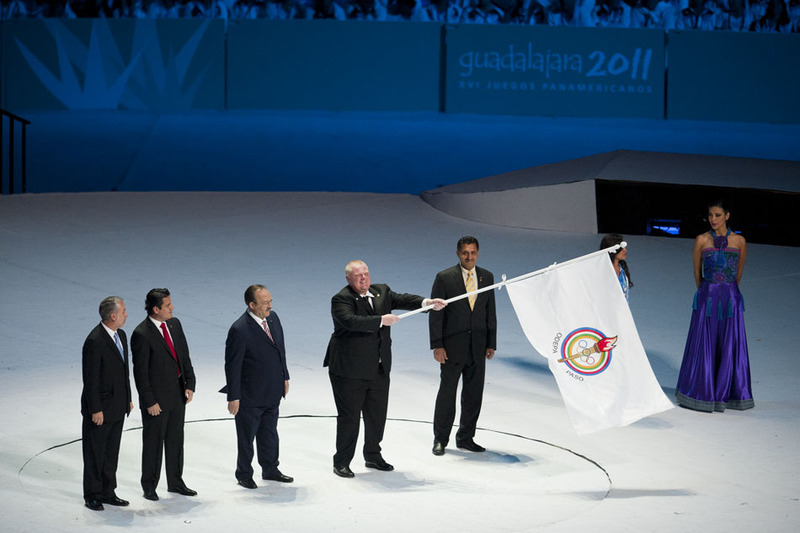 Oct. 30, 2011 - Guadalajara, Mexico - The flag of the Pan American Games is handed over to ROB FORD, Mayor of Toronto Canada, during the closing ceremonies of the 2011 Pan American Games hosted by Guadalajara Mexico. 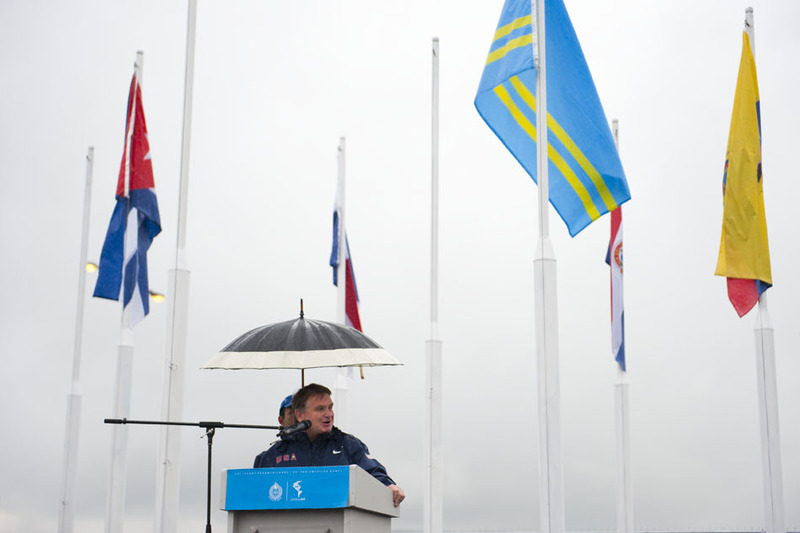 Toronto will host the 2015 Pan American Games. 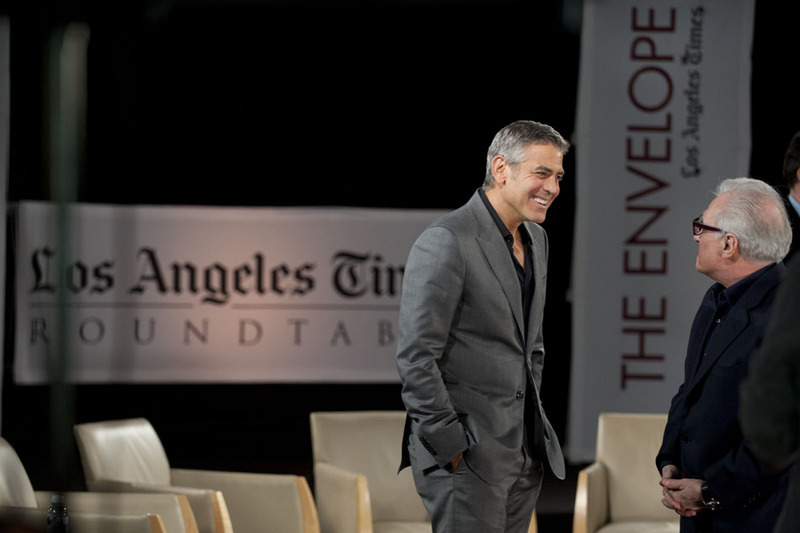 Directors George Clooney and Martin Scorsese talk after the Director's Roundtable at the Los Angeles Times building in Los Angeles, Calif.
Oct. 13, 2011 - Guadalajara, Mexico - ALAN ASHLEY, Chief of Sports Performance at the United States Olympic Committee (USOC) speaks at the American flag-raising ceremony at the Pan American Athletes Village.